FREDERICK, MD-Fans in search of a holiday gift for a friend or loved one do not have to look far. With the Carolina League All-Star game coming to Frederick in 2019, a variety of ticket plans are currently available. For the 2019 season, the purchase of a ticket plan includes the choice of a Ryan Mountcastle bobblehead or a Carolina League All-Star hat. Additionally, all plan holders can opt in for tickets to the 2019 Visit Frederick Carolina League All-Star Classic. Individuals with full season ticket plans can purchase up to eight all-star game tickets, while all other plans can purchase up to four tickets. Expected to be one of Frederick County's premier summer events in 2019, the Keys will be hosting an all-star game for the third time in franchise history (and for the first time since 2005). With the season of giving upon us, fans can get in the spirit of the season by purchasing a 2019 Holiday Package. Two different options are included, while each purchase comes with the choice of a picture frame or a holiday ornament. Option one is the Club Package which includes two Mattress Warehouse Club tickets to the Christmas in July game on Saturday, July 27 for $95. First pitch is at 6 p.m. and the club opens at 5. The other Holiday Package option is the popular reserved seat flex pack. Offering tons of flexibility, this option includes 10 undated vouchers which can be used on any regular season game. These plans start at $95 ($75 for youth, military and seniors). 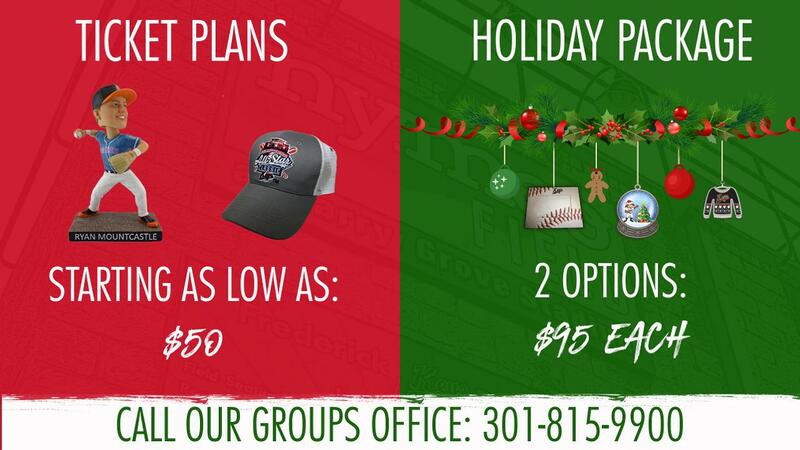 For those who attend Keys games on a regular basis, the Build-A-Plan and 10 & 15 game plans are also available. The Build-A-Plan starts with five games and up and allows fans to book dates based on their schedule, favorite promotional nights, giveaways, fireworks shows and much more. Serious fans who do not want to miss a moment can also purchase full-season plans. Starting at $560 for a full-season reserved plan, benefits include a VIP parking pass, team ball, free playoff tickets, custom seat name plates and more.